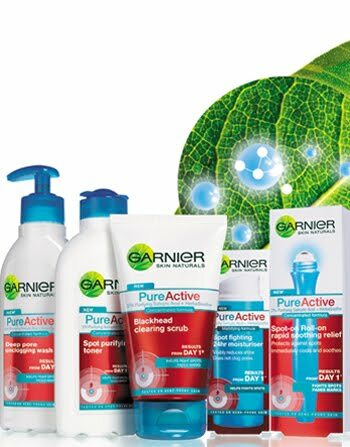 So this post is long overdue, and as the Lovely Natalie at Headstream PR is finishing her report for Garnier on Monday I thought I would give you my two pennies worth on the Garnier Pure Active range. This isn't going to be a long post as to be honest I'm sure you have all already read lots of posts about this particular skin care range. As a whole I personally did not like the Pure Active Range for one reason... the scent. To me it smelt like "mens toiletries" smell, and I hated it. I therefore didn't use the products continuously enough to write an honest review. However the moisturiser is a different story. 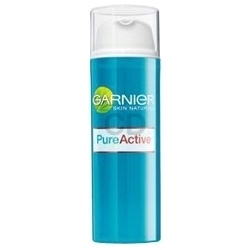 As most of you are aware I was already using the Garnier Pure A Moisturiser before the new range came out. I was actually on my third bottle. Overall this moisturiser gets a huge thumbs up from me. If you havnt already tried it and have oily acne prone skin I recommend you give it a try! I am now on my 5th bottle! I was almost tempted by this product today, I bought some other 'problem skin' products though and will be writing them up soon. It does sound like this could be a good procduct for me though. What are the ones you have really not got on with?